Kanye West and Joan Smalls star in new Balmain campaign | HELLO! Music meets fashion in the new AW16 campaign for Balmain. Olivier Rousteing unveiled the images on Monday, and he's turned to two of his most famous former campaign stars to model the collection – Kanye West and Joan Smalls. The unlikely duo star in black-and-white portraits shot by photographer Steven Klein. While Joan is launching herself forward in a striking ruched outfit and killer heels, Kanye appears to be falling backwards to the floor. 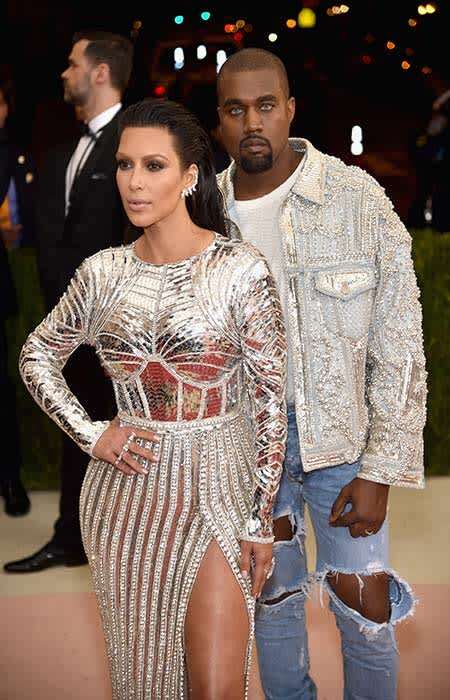 The rapper wears the same studded denim jacket and ripped jeans that saw him steal the best dressed crown at the Met Gala in May, where both he and wife Kim Kardashian were decked out in head-to-toe Balmain. "The #BALMAINARMY IS BACK starring #KanyeWest and #JoanSmalls," a campaign image shared on the Balmain Instagram account was captioned. The brand's creative director Olivier Rousteing is close friends with the Kardashian-Jenner clan, so it comes as no surprise that he cast Kanye to star in his latest campaign. The rapper previously modelled Balmain's spring 2015 menswear campaign alongside his wife Kim, while Kendall and Kylie Jenner have also previously modelled for the label. The Jenner sisters starred in a family-focused campaign alongside stylish siblings Bella and Gigi Hadid plus Joan Smalls and her sister Erika. 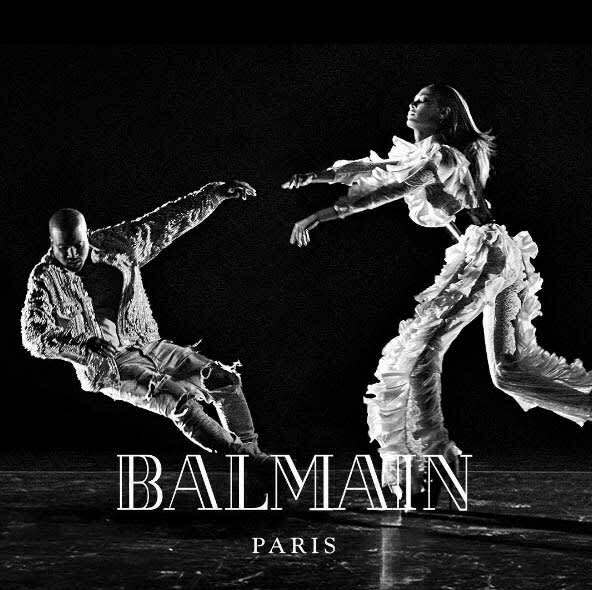 The model appeared to be proud at starring in another shoot for the fashion house, and shared the image on her own Instagram account, adding the caption: "@balmain campaign feat #kanyewest by @stevenkleinstudio and @olivier_rousteing."